Once he was able to break into the game, 50 Cent broke in a major way. For only a few short months was 50 Cent just a rapper. It did not take long for 50 to establish himself as one of the moguls in the hip hop game. Through several business ventures, 50 Cent amassed a net worth over $100 million. 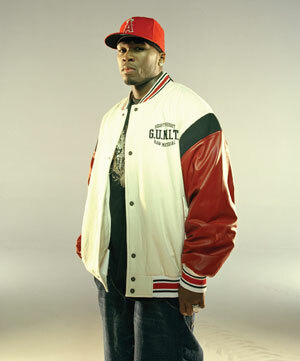 While 50 Cent has had several successful business ventures, he has also had several unsuccessful ventures. Before he made it big, 50 Cent had another label, Full Clip. Through this label, 50 released some independent albums. G-Unit was signed to the label, but Full Clip fell apart. Early in his career, 50 Cent launched G-Unit Clothing to much fanfare. But, eight years later, the clothing line is no longer in circulation. His most recent venture was a new headphone line, The Sleek by 50. The line follows in the footsteps of Dr. Dre's groundbreaking Beats by Dre line. After he launched the line, 50 Cent said Dr. Dre was angry at him for doing so. 50 Cent accused Dr. Dre of dissing him several times. When confronted, Dr. Dre claimed he did not even know 50 Cent had a headphone line. Not only did 50 Cent have a headphone line, he had purchased enough stock in the parent company, H&H Imports, to become a board member. Through this stock, 50 Cent generated $8 million in one day. Only three months after this fast star, 50 Cent has decided to end the headphone line. Sleek Headphones said they wanted to move in a different direction and The Sleek by 50 has been pulled off their inventory list.